Shutters are the most classy and convenient addition to the home. When the shutters are properly selected and installed, they provide the best shelter From the weather. One of the shutter types which have been gaining popularity is the Bahama shutters. Bahama shutters originated in the Caribbean (as you'd expect) for a variety of reasons. The tropical climate is great, but frequent rainstorms were a problem (especially if there's no glass in your windows). The design of Bahama shutters lets the rain gently runoff, while still allowing for a breeze, and provides lots of shade on sunny days. On days when the weather gets really rough (like hurricane rough), Bahama shutters close completely and protect against wind-borne debris. Today, the most popular reason to install Bahama Shutters is still for protection (choose aluminum shutters for maximum strength in hurricane-prone zones). They’re perfect for areas that see a lot of storm action because there’s no need to put them up and take them down every time bad weather threatens. The hinges of the shutters run at the top of the window, and not along the side. This means that the shutters can be swung open and close as fast as possible in case you are experiencing inclement weather. It is an awesome building material for people located in areas which get cyclones and other forms of extreme weather. Additionally, Bahama shutters also provide great day-to-day security – we've seen them used to lock up a variety of commercial buildings, bars, and homes. The other benefit which comes From the installation of the Bahama shutters is that they are able to form a natural form of climate control. These shutters have hinges which are set in such a manner that you can choose the angle at which you will keep them open. The angle determines the amount of air that you will get inside the house. Experts in the installation of these shutters can help you angle them is such a way that the air in the house will always circulate properly, and your house will stay cool, which is great when you want to reduce your energy bills. It is also important to note that you can also customize the shutters into any number of styles that you need to. You just need to contact competent shutter creators, and they will help come up with sketches and designs which will best suit your home and situation. Also important to note is that in addition to wood, aluminum, and vinyl shutters, it is possible to customize these shutters From materials such as fiberglass. Another amazing thing about the Bahama shutters is the fact that they come with a wide range of design varieties. The most common material used to make them is stable aluminum, but there are some made From wood. Most people, however, pick wood because it is long lasting. The shutters can also be made to fit any window regardless of the size or the design. 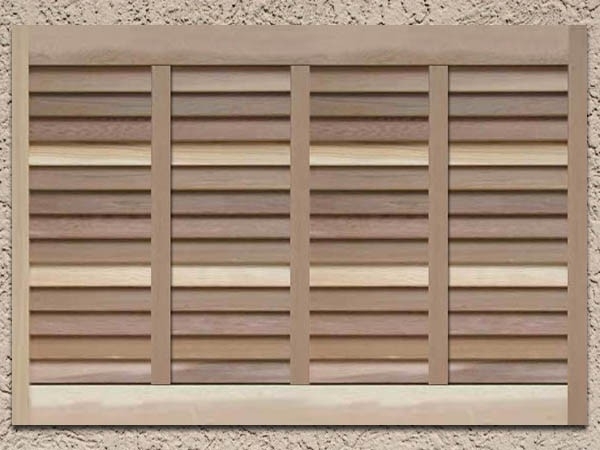 Finally, the shutters come in a number of colors and are easy to customize to fit the exterior décor in your home. Regular shutters have been said to be a little less effective than alternatives such as blinds and curtains when it comes to enhancing privacy in the home. The Bahama shutters are normally installed at an angle of 45 degrees. This helps them enhance the privacy inside the home because once they have been closed, no light passes through. The slanting angle also means when they are open, a light will be passing through, but someone who is standing outside the house cannot peep inside and see what is happening. This way, whether the shutters are open or closed you will always have privacy. There are plenty of other reasons to choose Bahama shutters for your home. Shade is a big one. If you live in an area that gets a lot of suns, they can reduce your energy costs and keep your furniture, window treatments, and carpet From Fading. Using regular windows usually leads to excessive amounts of light streaming into the house, which can be very annoying in the summer. The excessive sunlight also means that the temperature inside the house will be hotter than they should be, making your AC work too hard to keep the house cool. When you install Bahama shutters, most of the light is filtered out, leaving the house cool and pleasant even in the hot summer. Most places where Bahama shutters are commonly installed go through intense storms. To keep the house safe, owners usually install hurricane shutters made From aluminum. The hurricane shutters do not add a lot to the curb appeal of the home. Bahama shutters offer the same level of protection that regular hurricane shutters offer, but still, keep the home stylish in design. They will keep the storm out of your home, preventing the interior From suffering water damage, and flood damage after a storm. They form a barrier to protect the home From the damage caused by high-speed winds and moving objects. Sure, Bahama shutters are pretty...pretty awesome! Bahama shutters are therefore a worthy investment in your home. In addition to all of the benefits discussed, the shutters will have an impact on the resale property of your home because they will improve the appearance and preserve its structural integrity. Consult professional windows and shutters installation experts to get the best quotes.